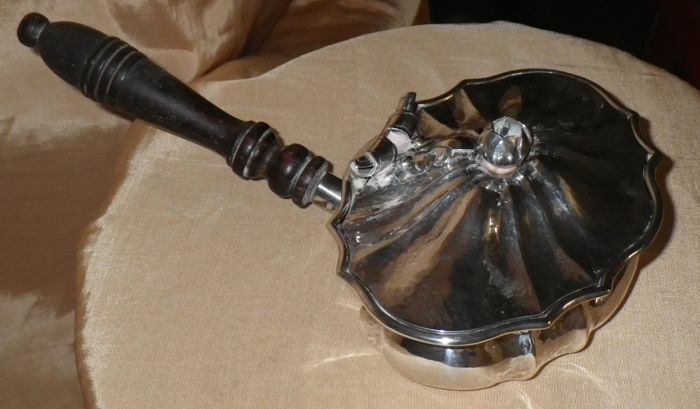 Hammered hand made box with a wooden Handle and Lid. 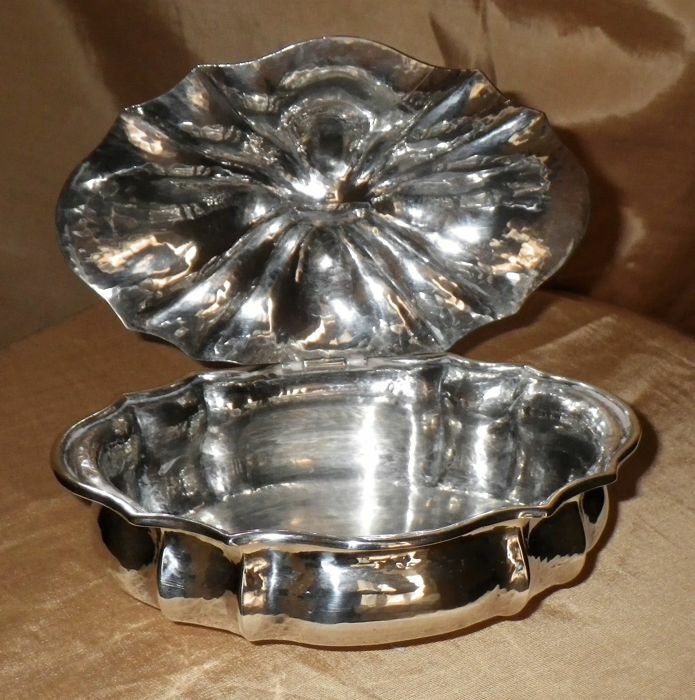 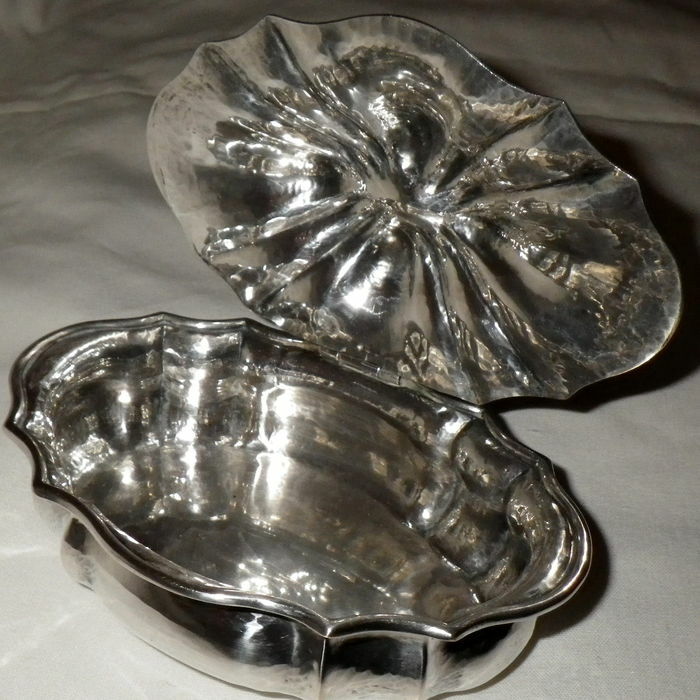 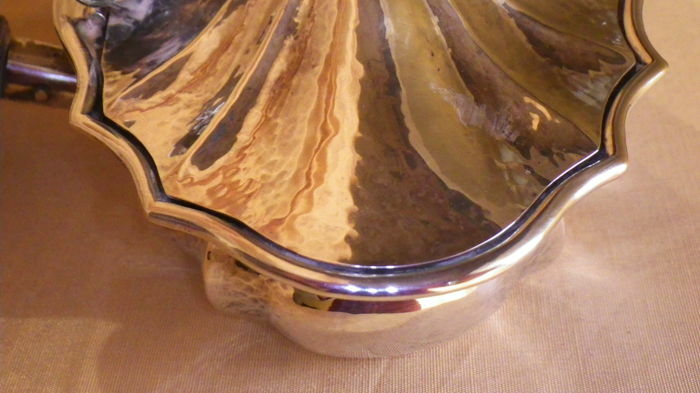 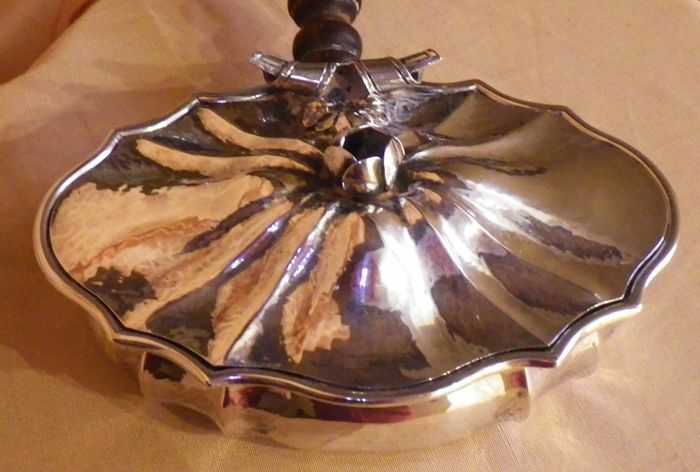 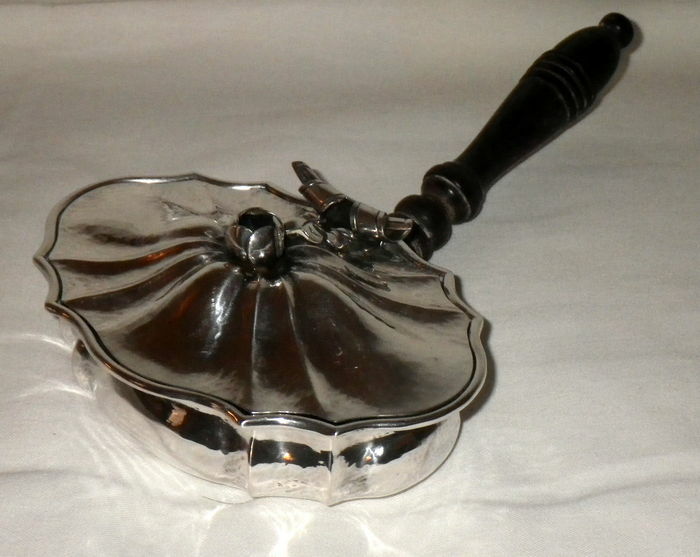 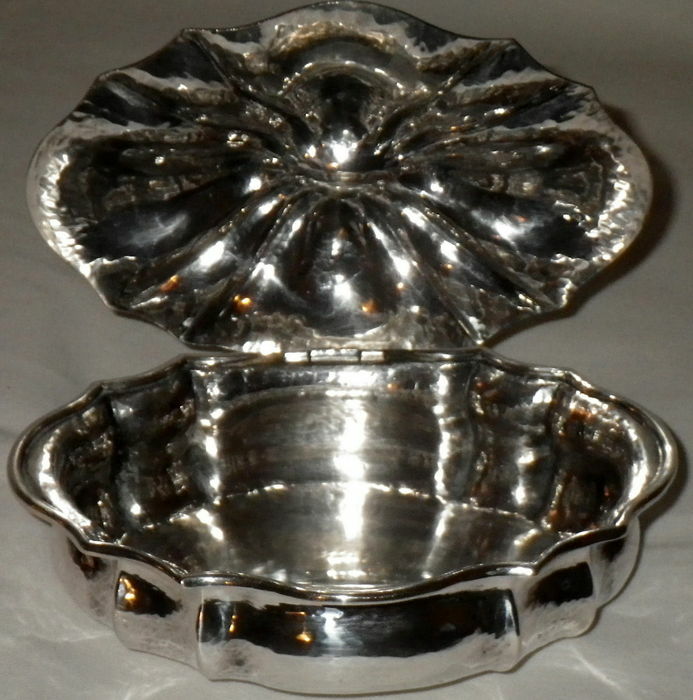 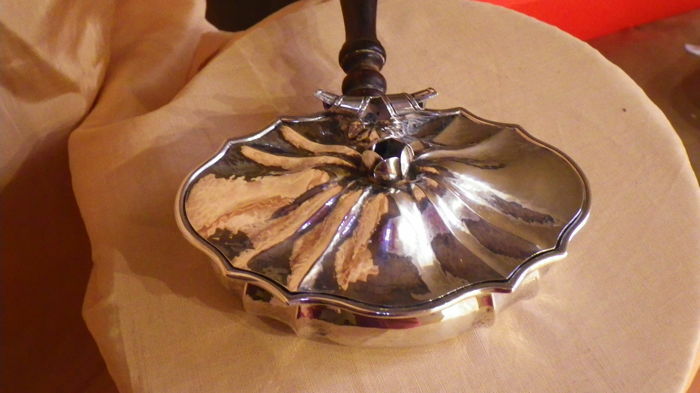 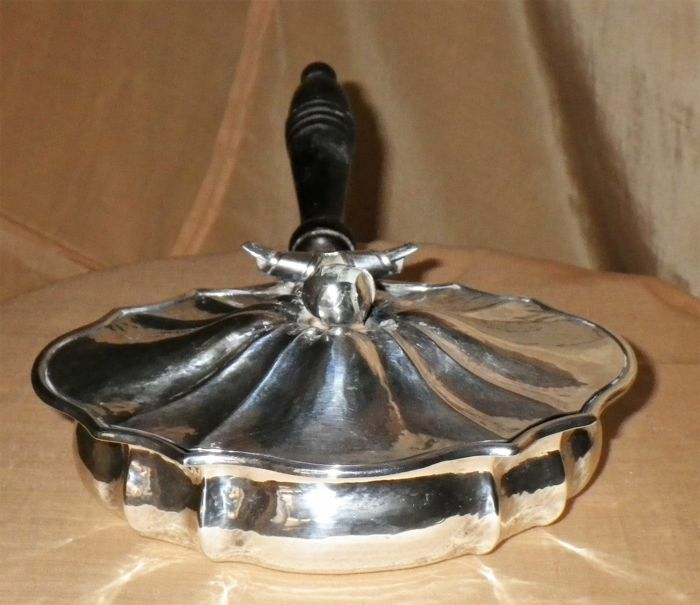 The Ashtray has an oval and wavy shape, a little graceful rose on the top of the lid. 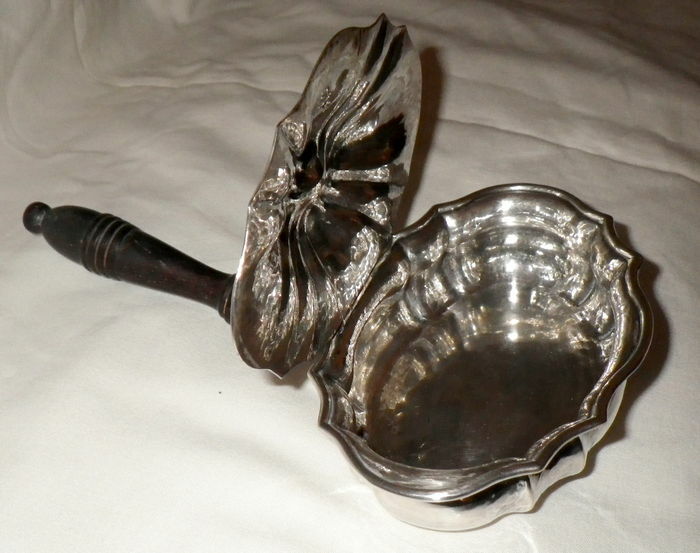 The rose and the hinge are linked by a leaf. 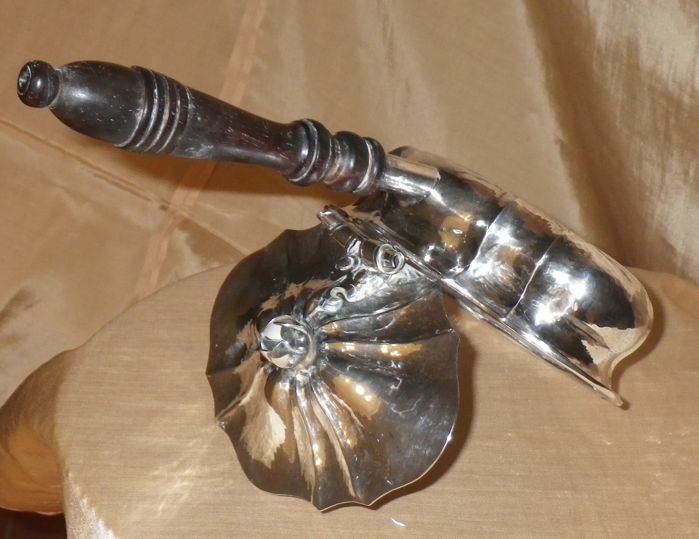 Dark wood Handle. 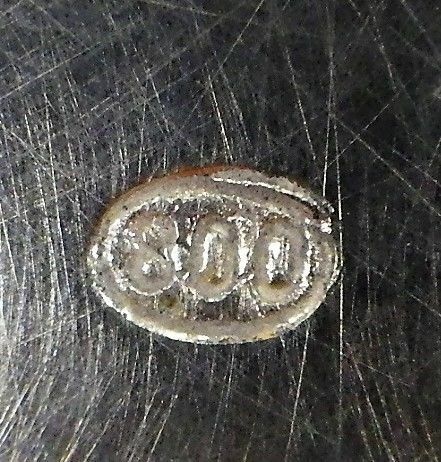 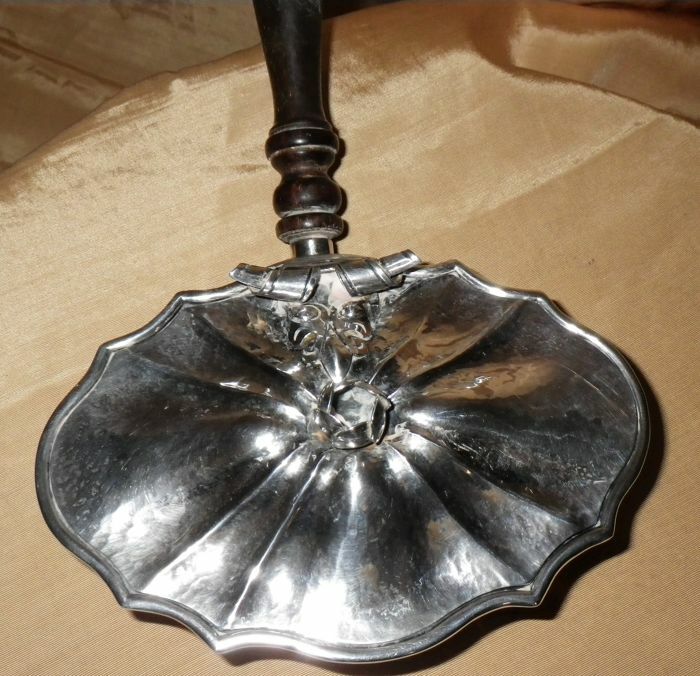 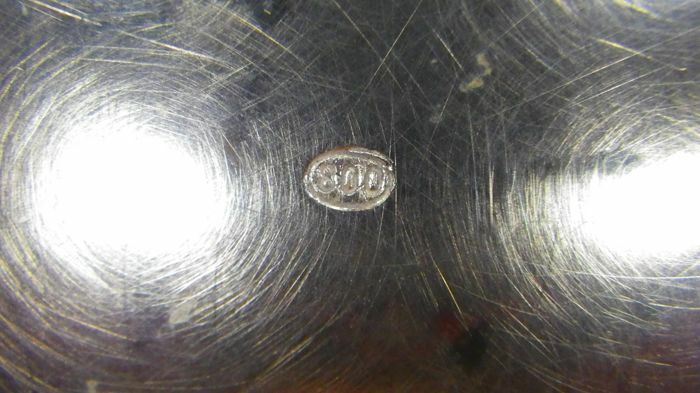 Usually the ordinary silver wares had cheap hinges, easy to break . 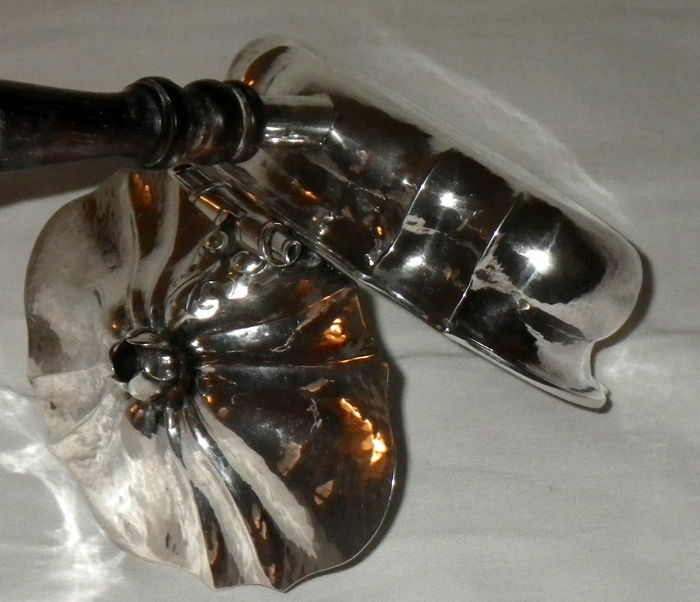 When the hinge and all the details are accuratly done,it means that the object is an up-class work .